The average price for this game in the past 6 months is $23.71. The game first became 50% off on Nov 17, 2018 at GameStop. Lowest historic price was $19.99 on Nov 17, 2018 at GameStop. The average price for this game in the past 6 months is $29.28. The game first became 50% off on Nov 21, 2018 at GameStop. Lowest historic price was $19.99 on Nov 21, 2018 at GameStop. The average price for this game in the past 6 months is $24.99. The game first became 50% off on Nov 27, 2016 at Jet. Lowest historic price was $24.99 on Dec 19, 2018 at GameFly. Overwatch is now released across the globe. Want in on the action? Walmart still has the Origins Edition for the consoles (PC essentially sold out). Xbox One and PS4 versions can be picked up tonight as physical copies are being offered up a day before official May 24 release. Overwatch Origins Edition hitting an all new low by $7 after a new 20% off Jet coupon code. Normally a $60 purchase. Best Black Friday price was $35. Want to get in on Overwatch? GameStop has the PS4, Xbox One and physical PC versions on sale for $35. Available for store pickup. The Overwatch discount continues. First the CE at 27% off, now the Origins Edition at 18% off for the PS4, Xbox One (and PC). Free ship or pick up in store. Amazon is also price matching as of writing. Did Blizzard set the list price just a wee bit too high? We'll find out in a few months time when we check back into the game's population. Last weekend to pre-order Overwatch, before next week's release. Dell has the best monetary bonus out there with a massive $25 eGift Card (good for anything sold at Dell). Also free Next Business Day shipping. Now Dell is hawking Overwatch with their signature $25 eGift Card bonus for all platforms (Xbox One, PS4, and PC). Impressive 40% bonus value and free Next Business Day shipping. The average price for this game since released is $31.78. The game first became 50% off on Sep 19, 2017 at Best Buy. Lowest historic price was $19.99 on May 24, 2018 at Best Buy. Historic low price on Overwatch GOTY for the PS4/Xbox One is back again at Newegg. If you missed the deal from early January this is a good chance to pick up the game for cheap - particularly for those without Best Buy GCU. Shipping is free. Missed out on $30 Overwatch during Black Friday weekend? This is your second chance on some of the best price of the year as Christmas sale comes to a close. Also available on the Xbox One (PC's Overwatch GOTY is missing out for some reason with only the Origins Edition available for $30). Overwatch GOTY is now $30 a pop for either the PS4 or Xbox One copy. This is a great price for the game if you want a physical copy. As far as we can tell, all retailers will have this price come Black Friday - but GameStop is simply jumping the gun :) - Also available on digital format at PSN or Xbox Live. Missed Best Buy's deal last week? Overwatch is having a free play weekend and the GOTY is 50% off across all platforms at select retailers. Newegg has the PS4 and Xbox One version on sale along with the PC (cheaper than Battle.net). Shipping is $2.99. The average price for this game since released is $31.29. The game first became 50% off on Sep 19, 2017 at Best Buy. Lowest historic price was $19.99 on May 24, 2018 at Best Buy. Enjoyed Overwatch during its recent free weekend? The game is now 50% off at Microsoft Store with free shipping. It's also $29 at Walmart but they have a $35 threshold for free shipping, so unless you feel like braving the crowds - we'd go with this no hassle deal. It's worth the 99 cents in our opinion. Even cheaper than PC is the OverWatch GOTY on Xbox Live. You'll need to be a Gold Member to get the discount to $38.99 - a buck cheaper than PC. 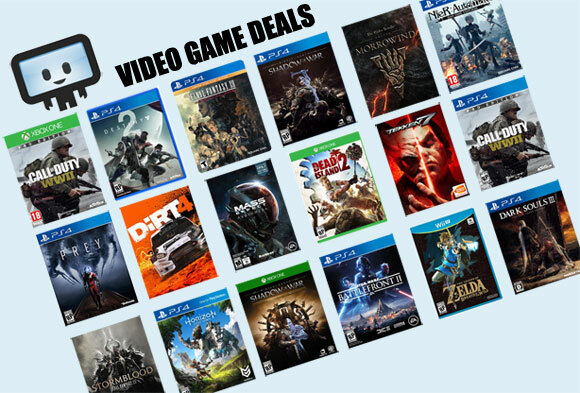 PS4 gamers get a discount to $41.99 at the PlayStation Store. The average price for this game since released is $34.21. The game first became 50% off on Dec 10, 2017 at GameStop. Lowest historic price was $19.99 on May 25, 2018 at GameStop. Blizzard games goes on sale once in a blue moon. Today is one such day. Overwatch Origins Edition on the PC is now only $38 at Newegg, shipping is free. Always a rare deal when Overwatch goes on sale - double so when its a new historic low. $35 for Origins Edition at Best Buy, GCU eligible to bring it down to $27.99. Not sure about Overwatch at $20 (or $30 for the GOTY)? Free weekend is now in effect yet again for all major platforms. Starting on Friday, 5/26 at 11AM Pacific (2PM Eastern) Overwatch is free to play for a weekend. The trial period goes through the whole day Monday, May 29 and ends officially at 11:59PM Pacific.